The title of this film is a bit confusing as it turns out Guy Ritchie didn't make a movie about King Arthur after all. He took a couple of names from the legends, reworked them into completely new, almost unrecognizable characters, and made a fairly generic period action film which has little to nothing to do with the legends his movie is named after. 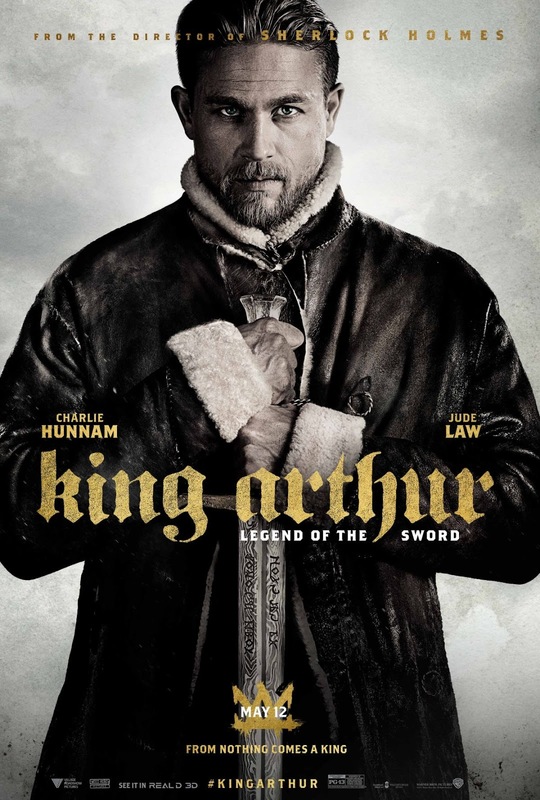 Perhaps I could have forgiven going to see a King Arthur movie and not seeing a movie about King Arthur if the movie had at least been fun, entertaining, interesting, or even just not boring. Legend of the Sword is one of the most generically boring summer tent poles I have sat through in a while. It's filled with cliches, Charlie Hunnam's ham acting, and stolen plot points from a million other movies. Ritchie at least puts his stamp on this film. You recognize it immediately as a Ritchie film from his frenetic pacing style to his hypermasculine esthetics. While I felt most of that worked to breathe new life into this Holmes movies, here it just feels like a less nerdy Peter Jackson film. And I don't mean that as a compliment. When it comes down to it, Legend of the Sword is boring and forgettable. It's generic and unintentionally campy. And most of all it adds nothing to the retelling of the legend of King Arthur. Stories have a life through the generations as we each add something new to the narrative. The richness of this is how the story evolves over time. This honestly felt like it added nothing new and that is the biggest disappointment of all.